For many cyclists turbo trainers are a necessary evil when the days begin to get shorter, the weather turns and the thought of riding in the dark and wet is just a pedal revolution too far. Although they often get a bad reputation, a turbo trainer can keep you warm, dry and safe while you keep your fitness ticking over during the winter months and with the latest trainer technology, the indoor experience is gradually becoming less removed from the real thing. Let’s start with the basics. A turbo trainer is a static device which your bike attaches too, allowing you to ride your own bike, in one place, pretty much wherever you please. Most turbos work in a similar way with the rear wheel clamped into a frame which keeps the bike stable while you ride. 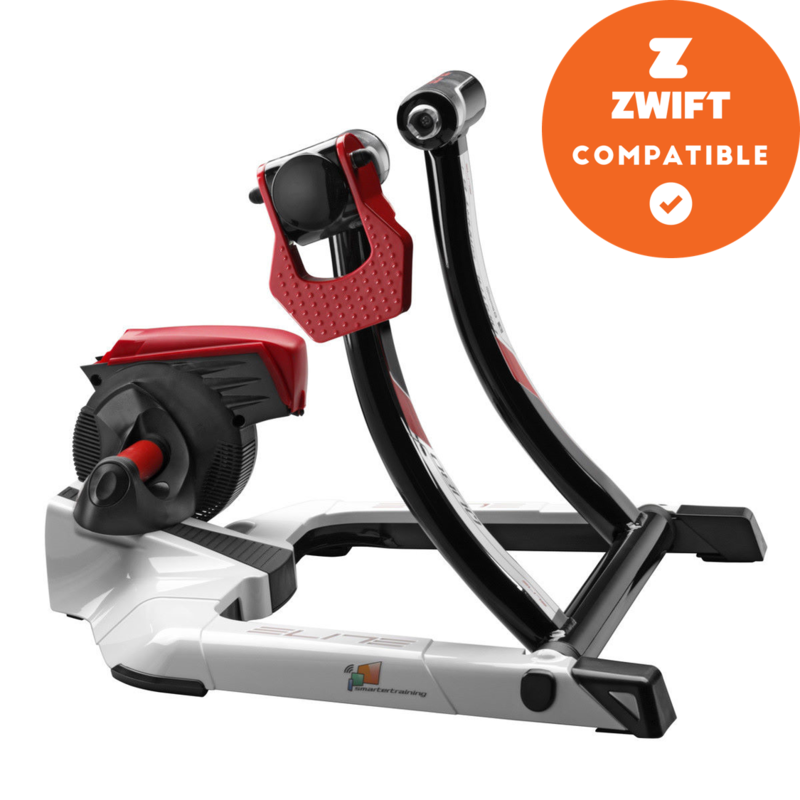 For traditional turbo trainers, the rear wheel will sit in contact with a roller which is connected to a resistance unit and, as you pedal, the back wheel will turn the roller and generate resistance. The vast majority of trainers will have the ability to vary the resistance, meaning you can work harder if you so wish and allowing you to work through intense workouts (if you’re into that kind of thing). This resistance is generated in several different ways which we’ll cover shortly. Recently, direct drive trainers have become increasingly popular – with this style of turbo, you remove your rear wheel completely and sit the rear dropouts of the bike on the turbo trainer. While most cyclists will bemoan the boredom related to sitting on the turbo, there’s a huge number of benefits related to jumping on the turbo. Similar to above, riding in icy and wet conditions, or in the dark, can be treacherous and riding inside can be a much safer alternative to riding on the road once the nights draw in and the weather turns. The real benefit of an indoor trainer is its effectiveness as a training aid. You can work on a specific area of fitness and time your session to the second, while you can also allow for more intense efforts without worrying about traffic, junctions or hills to halt your progress. With that ability to be so specific, the turbo can be a great training tool for time-crunched cyclists. Without the need to get wrapped up to tackle the weather, or clean your bike when you get home, you can jump on, smash out a session, and reap the fitness benefits in as little as half an hour. If you’re of a competitive disposition, the turbo trainer can be an excellent tool for waking your legs up ahead of your local crit or time trial. Popularised by Team Sky at World Tour level, a foldable turbo trainer should easily fit in the boot ahead of your next race.